Situated on the edge of the historic College Hill Neighborhood, in the Douglas Design District, the restaurant décor features vintage photographs that depict the history of the College Hill area, and downtown Wichita in general. To turn this former automobile service station into a BBQ and burger joint, the Brothers removed the vehicle lifts from the service bays to create a dining room, turned the former office into the kitchen, and added car hop stalls to the gas pump canopy. The building still features the glass garage doors, but now they look out onto the landscaped patio rather than motorists waiting to have their oil changed. 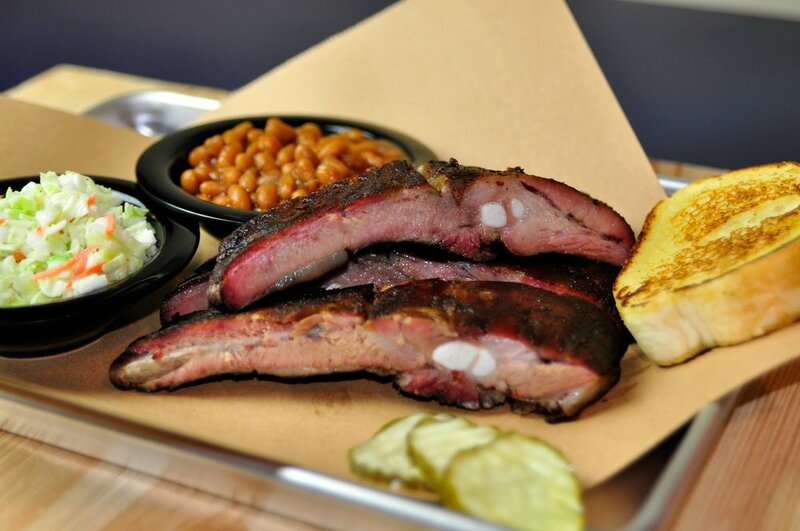 The menu features the legendary BBQ menu the Brothers are known for, as well as our juicy burgers, grilled fresh on the flat-top when you order. Whether it’s BBQ or burgers, everyone in your group can find something that they will love. Guests wishing to dine with us can either sit in the comfortable dining room or enjoy the outdoors and sit on our patio during the warmer months. Carry-out diners can choose to order at one of our old-fashioned car hop stalls and never have to get out of their car. Of course, they are also welcome to come in and order at the counter. This Two Brothers BBQ and Burger Grill restaurant is conveniently located on the corner of Douglas and Hillside. We are just a half mile south of the Wesley Medical Center complex. Also, we are only one half mile north of Kellogg, making us handy for commuters as well as locals.